J M Phillippe – Writer. Social worker. Drinker of hard cider. The deal she made to save herself could destroy the universe. 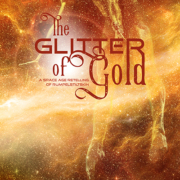 Based on the fairy-tale Rumpelstiltskin, The Glitter of Gold is part of the science fiction boxed set Galactic Dreams Volume 2. Galactic Dreams is a unique series of science-fiction novellas from Blue Zephyr Press featuring retellings of classic tales from different authors, all sharing the same universe, technology, and history. 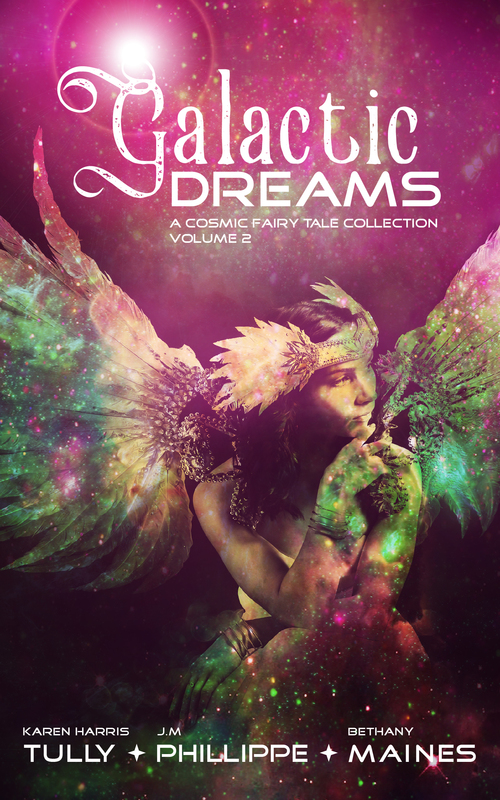 In each Galactic Dreams Volume 2 novel you’ll find an old tale reborn with a mixture of romance, technology, aliens and adventure. But this time, each prince and princess, each band of intrepid heroes, is fighting the same enemy – an entity so vast that he can span centuries and not everyone is guaranteed to survive. 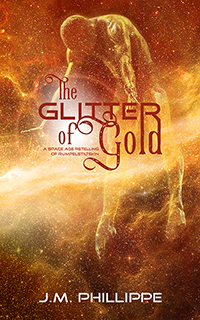 Featuring all new stories including Karen Harris Tully’s The Little Nebula (The Little Mermaid), Bethany Maines’ Seventh Swan (The Six Swans), and by J.M. Phillippe, The Glitter of Gold (Rumpelstiltskin). I have teamed up with Bethany Maines and Karen Harris Tully to bring you a sci-fi anthology like no other. 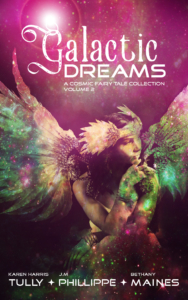 Featuring three novellas inspired by Mulan, Thumbelina, and Sleeping Beauty, all set in space, this collection reimagines fairy tales for a new age—the future.